University of Texas Rio Grande Valley's Anthony Gomez (4) reaches out with an empty glove as Mississippi State's Luke Alexander (7) slides into second base in a nonconference game at UTRGV Stadium on Monday, February 26, 2018 in Edinburg. EDINBURG — When UTRGV’s Austin Siener hit a fly ball, Mississippi State center fielder Jake Mangum took a few steps to his right, then backtracked and sprinted left to pick up the ball off the grass. 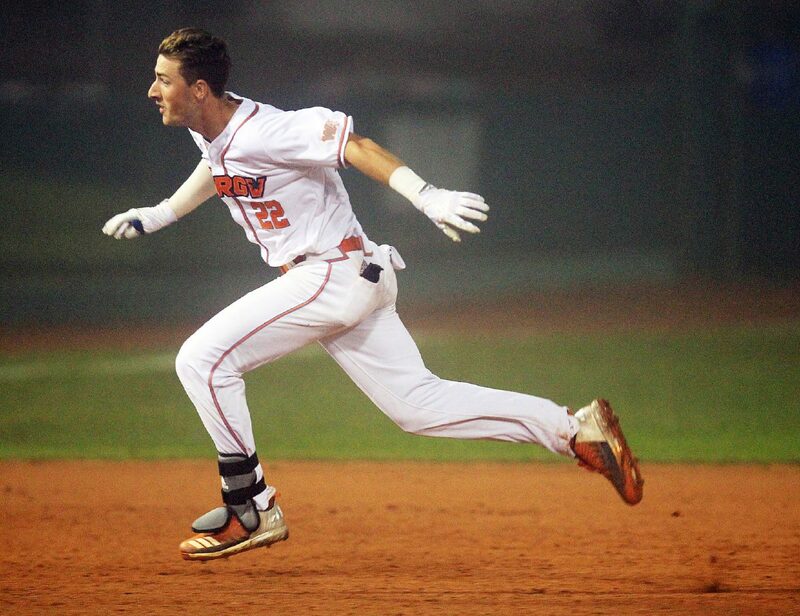 Mangum is ranked as one of the top 50 college prospects for the 2018 Major League Baseball draft by Baseball America, but he looked completely lost in the dense fog on Monday at UTRGV Baseball Stadium. Not long after Siener pulled into third with a triple in the fourth inning, umpires and the two managers met near home plate and called off UTRGV’s matchup against No. 27 Mississippi State. The game ended with Mississippi State leading 4-0, but neither the result nor any individual stats will be officially counted. 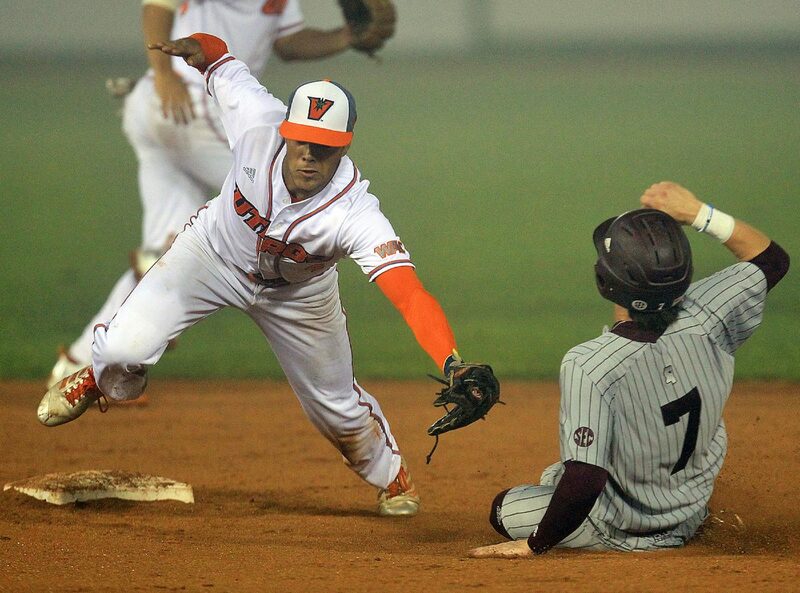 University of Texas Rio Grande Valley's Ivan Estrella (13) missies the tag as Mississippi State's Jake Mangum (15) slides into second in a nonconference game at UTRGV Stadium on Monday, February 26, 2018 in Edinburg. 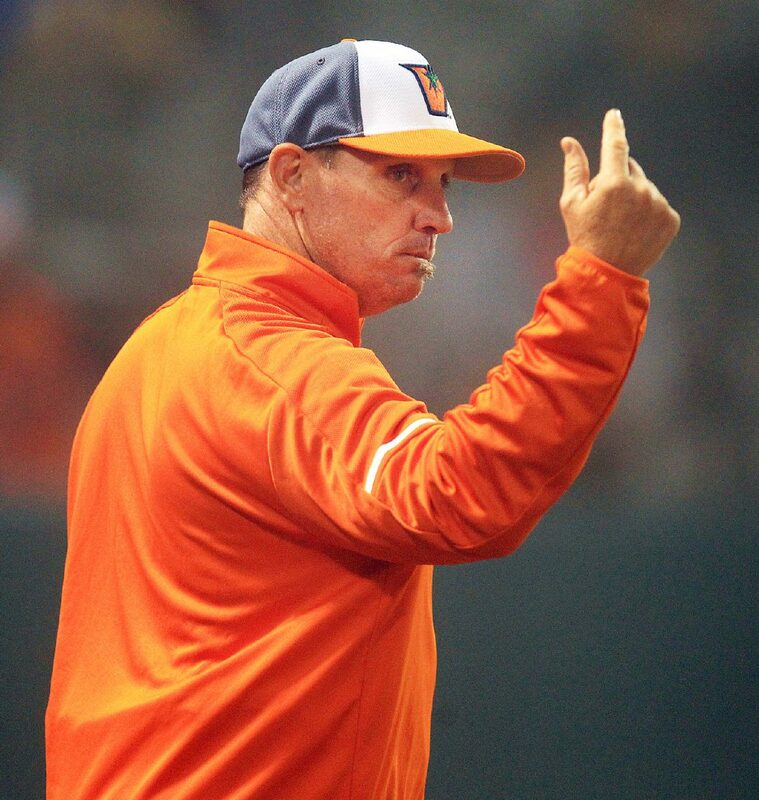 University of Texas Rio Grande Valley head baseball coach Derek Matlock signals in a nonconference game Mississippi State at UTRGV Stadium on Monday, February 26, 2018 in Edinburg. 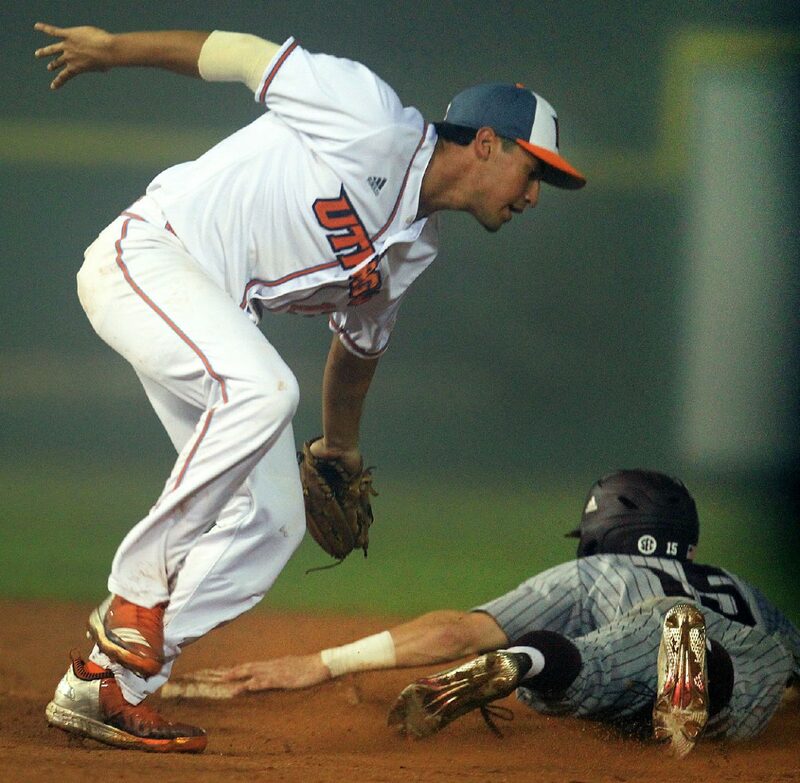 University of Texas Rio Grande Valley's Austin Siener (22) runs to third after hitting a triple against Mississippi State in a nonconference game at UTRGV Stadium on Monday, February 26, 2018 in Edinburg. University of Texas Rio Grande Valley Juan Carreon II (35) pitches against Mississippi State in a nonconference game at UTRGV Stadium on Monday, February 26, 2018 in Edinburg. MSU’s lead was due in part to the fog. The Bulldogs got on the board first when Luke Alexander singled to left, advanced to third on a wild pitch and throwing error, and then scored on a groundout. After Tanner Poole was hit by a pitch, Rowdey Jordan hit a ball to left field that landed between UTRGV center fielder Coleman Grubbs, left fielder Elijah Alexander and shortstop Ivan Estrella. The trio appeared to have difficulty tracking the ball off the bat. Grubbs said he was relying on his infielders for cues on how to track fly balls. Though he was disappointed in the game being canceled, he acknowledged that it was probably in the best interest of the players’ safety. 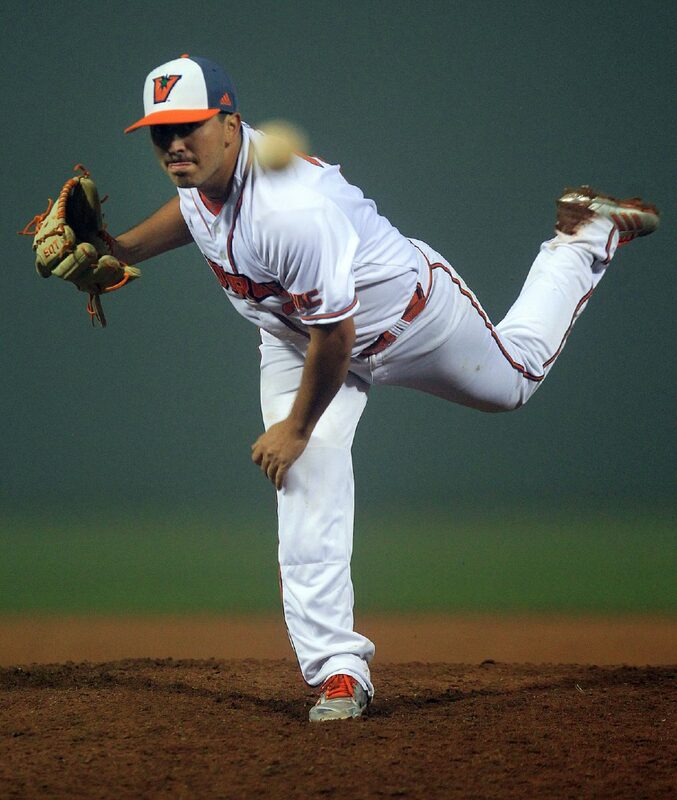 UTRGV junior Juan Carreon II, a McAllen Memorial grad, was making his first career start. He kept Mississippi State scoreless on one hit, two walks and a hit batter through three innings before being tagged for four runs on four hits during the fourth inning. Typically a bullpen arm, Carreon was expected to struggle the second time through the batting order, Matlock said.